Book today at the best guaranteed rates! 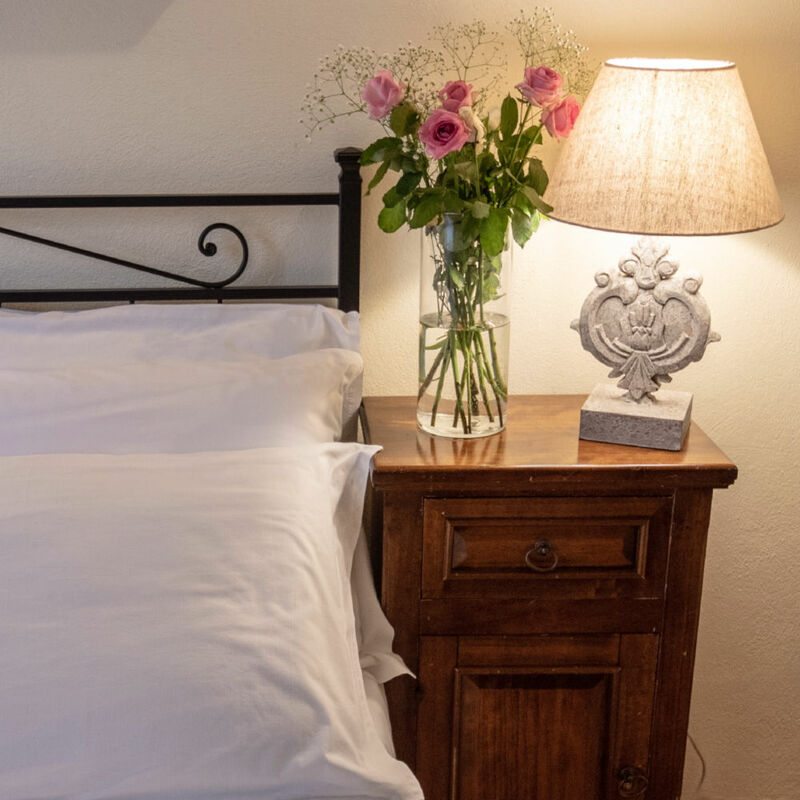 If you are looking for a well designed space to enjoy some good time with your group of loved ones, La Collina dei Nebrodi villa admirably meets this need adding to your stay in Sicily an exclusive taste. 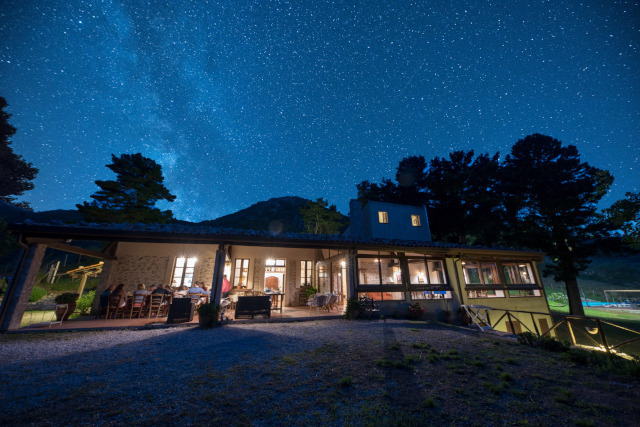 This vacation villa is a guaranteed trademark for your next holidays: attention to details, all mod cons, the privacy you need and a story to write. 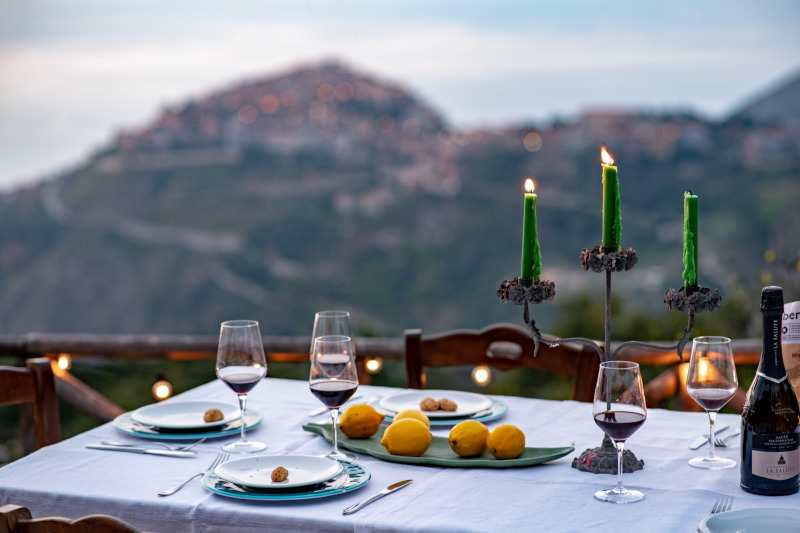 A natural area specially chosen for its panoramic view over the fascinating North Shore of the island, a private villa in the charming Sicilian hills. One of the most beautiful spots of Sicily. Your peaceful haven where you can regenerate and feel truly free. Outdoor activities, convey much deeper emotions. For this reason, the terraces and the patio of the villa are equipped to be fully exploited by kids and adults. For all day use you can find tables for lunch and dinner, cozy sofas and rocking chairs, lots of books, toys and board games including an authentic Italian calcio balilla table. Suitable for big parties, the terraces thus become the right setup for your most important memories. Are food and cooking among your passions? 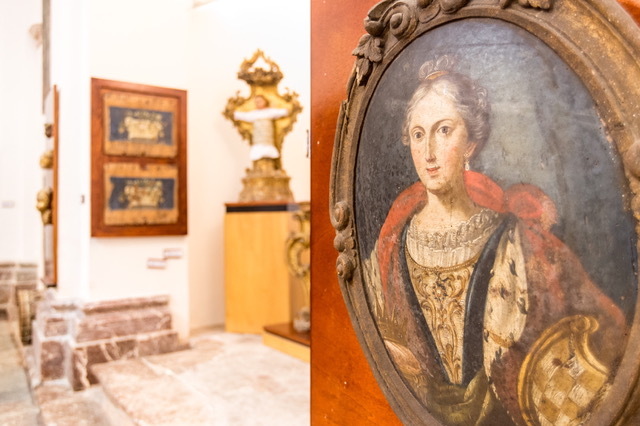 Then La Collina dei Nebrodi villa will give you a great inspiration. As the Sicilian culture is strongly linked to the ‘stay in the kitchen’ we have reserved the most beautiful room in the house for food. It is place of sharing and growth, of relations and gratification, where all the senses are stimulated. The cosiness of a professional kitchen and glass walls to enjoy the natural light and admire, while cooking, the surroundings up to the coast. Dating back to the nineteenth century, the large living room of the villa has been restored in order to keep the optimal temperature through the seasons and to preserve the ancient arches and stone walls. It houses a large chimney that is the beating heart of the whole house. Decorated with colorful local ceramics, warm lights and comfortable sofas to create a romantic atmosphere in which to spend cool evenings watching a movie all together. It makes you feel on the roof of the world. A breathtaking view over the blue and the Mediterranean Sea, so mythical and so close, just like the village of San Marco D'Alunzio, beloved by the Greeks and still loved by us today wholook at it from up here. For a swim here it is worth the trip. 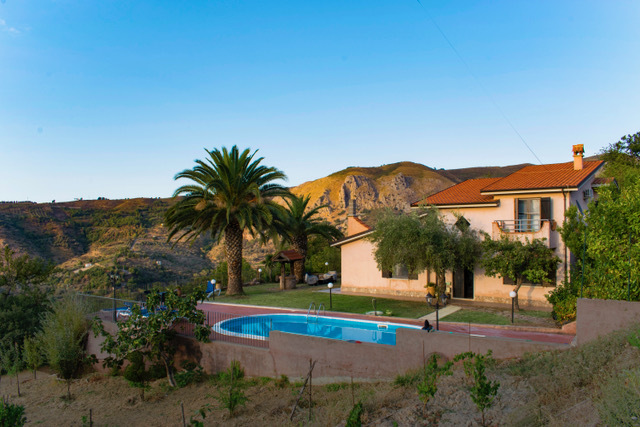 You can rent the whole villa and your group can be composed up to 21 people. Are you friends, colleagues or families? Do the kids want to sleep all together and do you need some baby cots? Here the floor plan, extra beds and cribs available. Please request the best arrangement of the beds to assign the fitting bedrooms according to the needs of your guests. Bedrooms are spread over two floors, five on the ground floor and two on the first floor. Some bedrooms, thanks to the mezzanines, accommodate up to four people while the others are double bedrooms with possibility of adding an extra bed. Each room has a private bathroom with shower, equipped with mirror, hair dryer, towels, soaps, gel douche and shampoo. If a good beginning bodes well, wake up with the scent of a freshly baked cake prepared just for you in the kitchen of the villa. 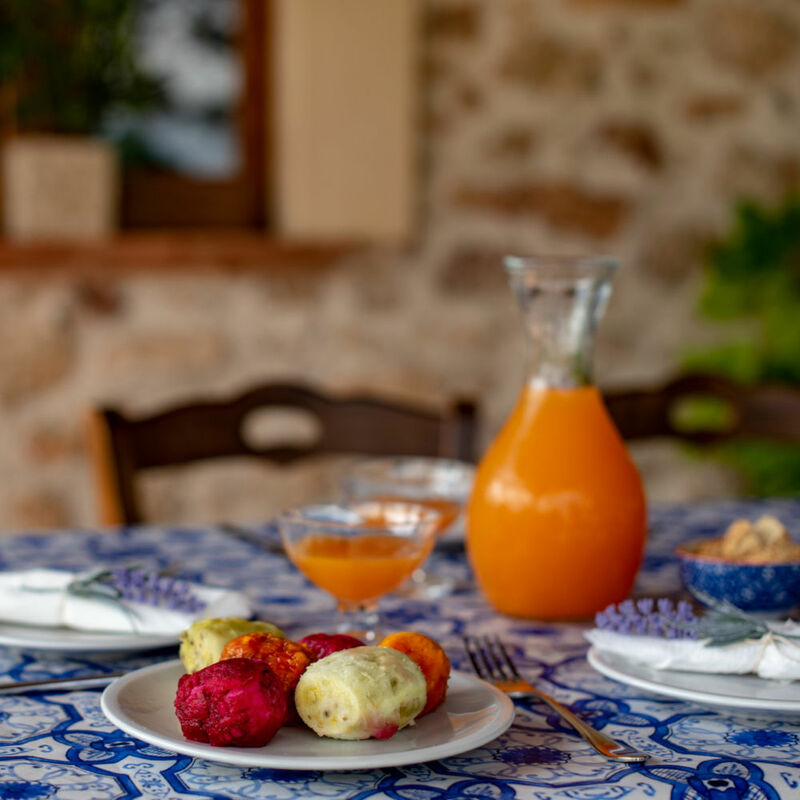 Renting the villa, a tailor made breakfast service is included. The food is everyday fresh and local, it varies daily to please every component of the group. The attentive staff will follow your preferences, surprising you every day with delights from the neighboring villages. This is a non-intrusive service as the kitchen has an independent entrance. We are sensitive to allergies and intolerances so do not hesitate to let us know. For further information please contact us. 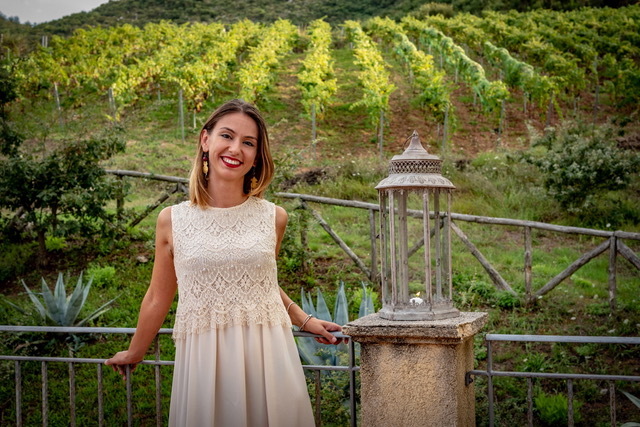 Every day spent at La Collina dei Nebrodi is an adventure. 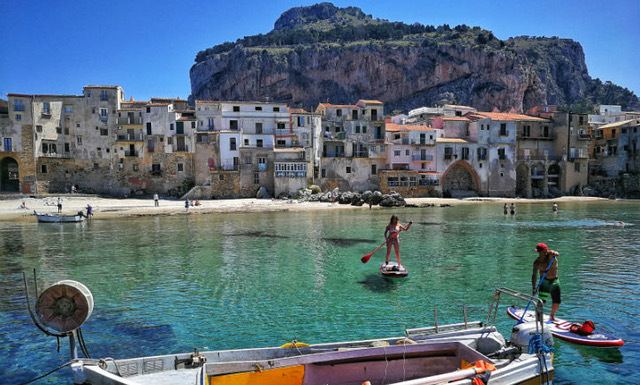 By now it is your home in Sicily, the best starting point to explore the whole island. Come and find out the surroundings and live like the locals. 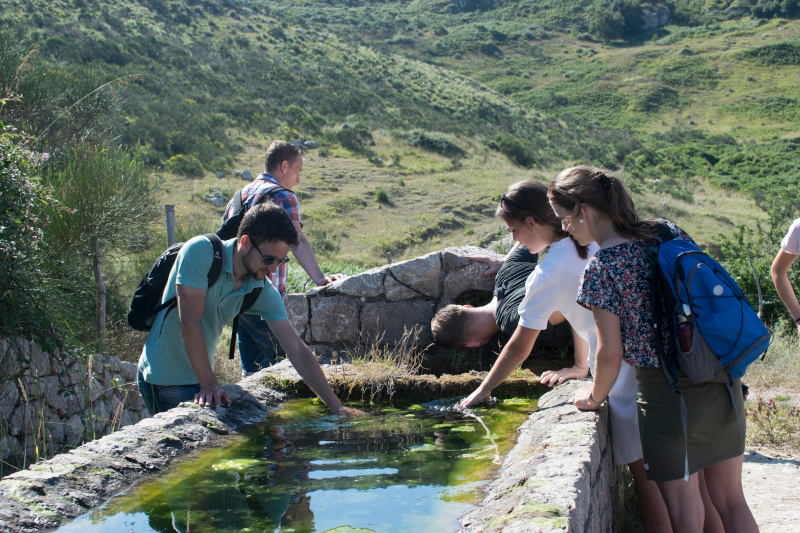 Do live to the fullest this countryside experience, enter the right mood and learn about local traditions, myths, food, biodiversity, history and art. Sicily is much more. 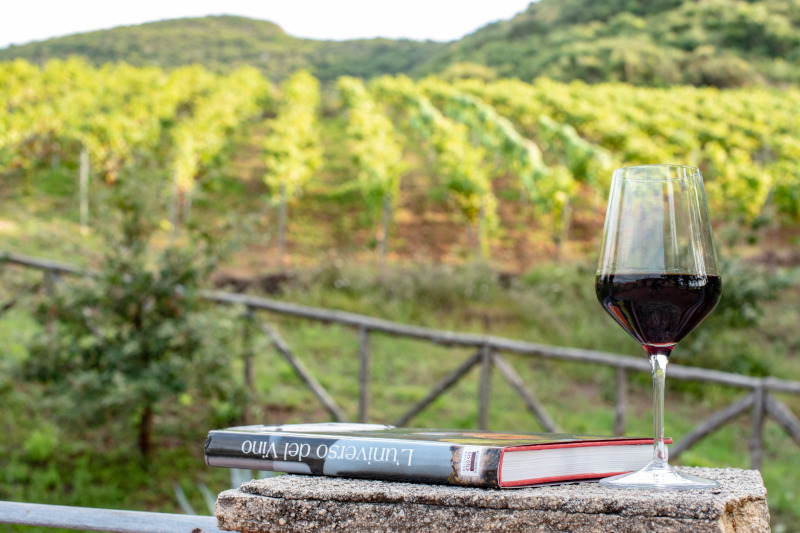 Reserve at least one day to enjoy the sunrise, take a glass of fresh orange juice and start your daily training, along the secret path of the estate, savor the clean air, the light, the blazing colors of the sky and the hills. Can you hear the bells of the sheep flock nearby? Take a dip in the pool to cool off. Wow, an indescribable feeling. Then, chat with the neighbour shepherd or meet Sergio the winemaker, who will be happy to explain what he knows about viticulture. 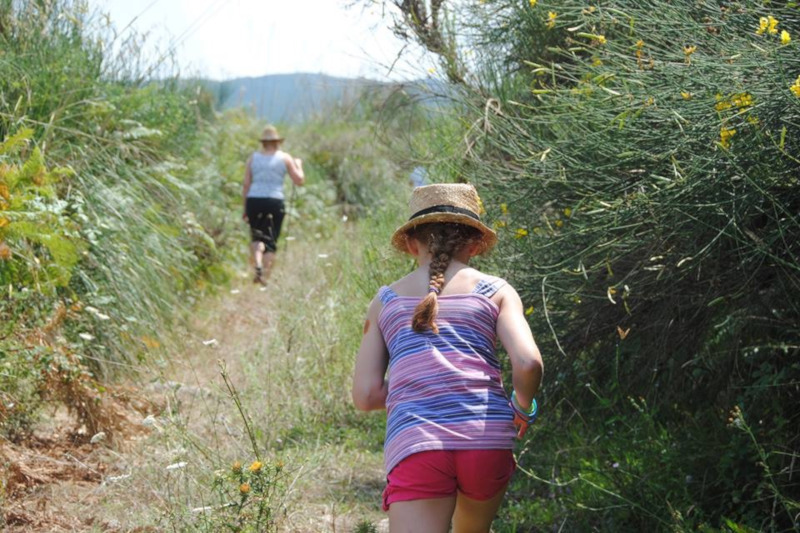 Their slow pace, typical of the Sicilians, makes you feel at home. Choose our villa for your next yoga retreat. Suitable spaces and yoga tools available in the villa. Activities and full board for course participants. Choose a special location to celebrate the best events of your life. Catering organization for private dinners and parties. 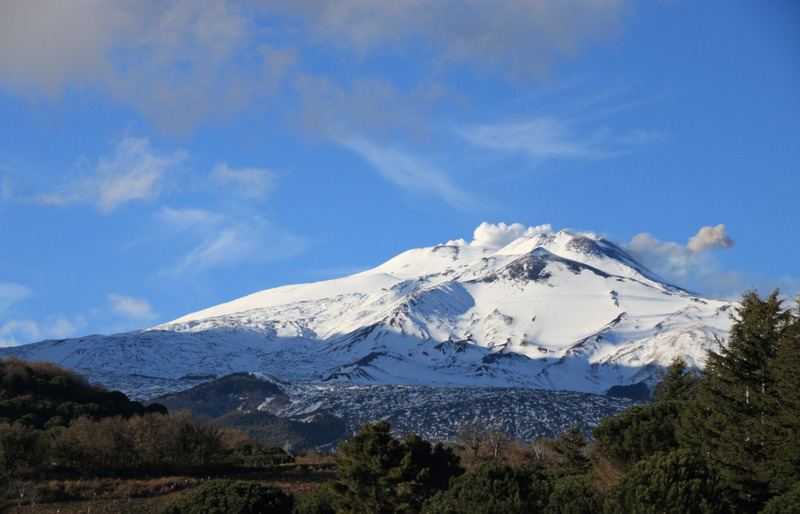 Discover the Tyrrhenian coast and the Aeolian islands. Discover San Marco d'Alunzio and its 22 churches. Lesson on winemaking and notions of sommelier. Book a tour with Claudia, the host, to be guided to the discovery of the island. Are you looking for other accommodations? 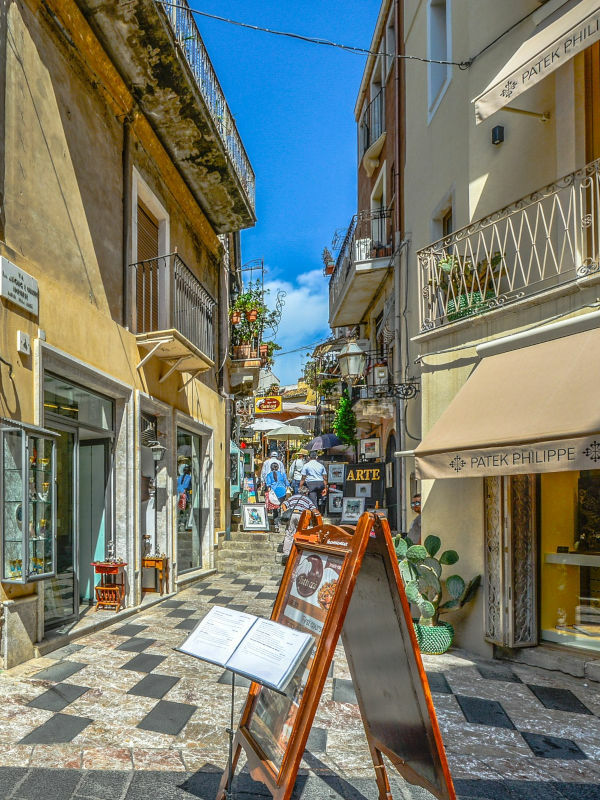 Take advantage of our suggestions on houses and apartments in Sicily. 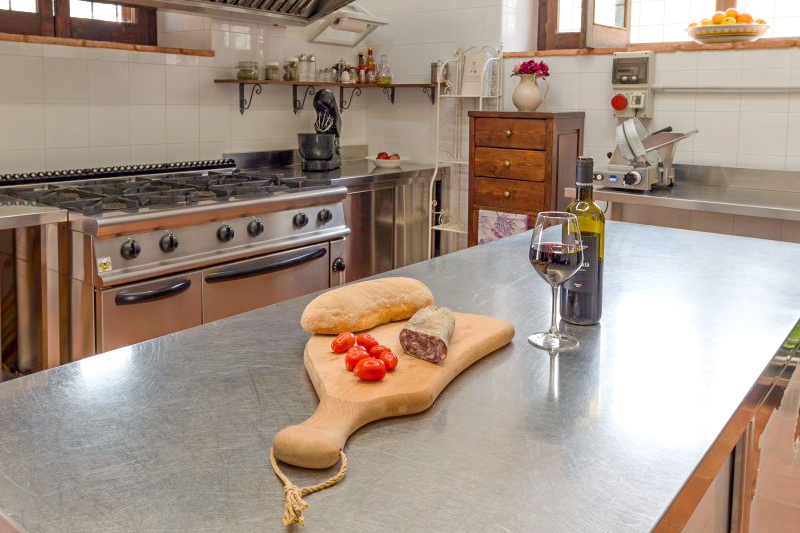 Spend a day in the kitchen to learn secrets and know- how of traditional sicilian cooking. Guided hike through the mountains. Do your exercises up and down the villa's panoramic path. The Nebrodi National Park is the largest nature reserve of Sicily, dotted with remote traditional villages rarely visited by tourists. This undulating landscape is covered with birches, oaks, elms, ash trees, cork oaks, maples and yews. Here, porcupines take their shelter’s, Sanfratellani horses, wild cats and numerous species of birds of prey such as the royal eagle, the lanner, the peregrine falcon and the griffin. Walking through it you will encounter ancient high-altitude pastures inhabited by hard working farming communities, which collect mushrooms, hazelnuts, produce a creamy ricotta and breed cows, sheep, horses, goats and pigs. Every time they meet a "stranger", they are very welcoming and friendly, they are characterised by an innate kindness and sympathy. The elderly peasants bring the signs of history and work on their faces, with their skin burned by the sun, and their smiles which are worth a thousand words. If you meet them while they are in the garden, they couldgive you the seasonal fruits they are reaping, so accept them and be grateful, they will appreciate it. This island is one of the most extraordinary places in the world. Every time you visit it, you always have a new experience: the ubiquitous aroma of lemons, the purity of light on the terracotta-colored walls when the sun rises, the picturesque markets, the spectacle of the eruption of volcanoes, the feeling that history is hidden everywhere, the street lamps of orange light in the alleys of the village in the evening, the exotic flavors of Sicilian cuisine and the infinite complexity of Sicilian culture. There is always a good reason to travel around the world. Life itself is an awesome journey! Don’t hesitate to email us or call us, we will be happy to support you during the planning of your holiday in Sicily and during all your stay. Copyright © 2019 La Collina dei Nebrodi. All Rights Reserved.